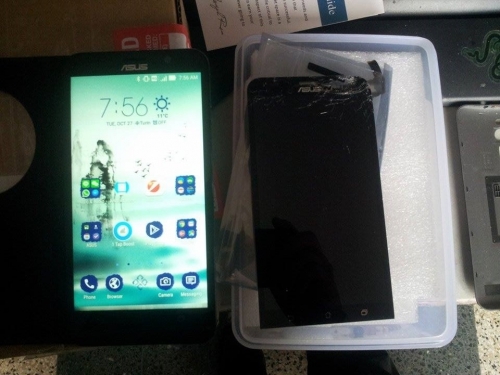 ● This item includes the LCD, digitizer touch screen and front glass already attached..
● This LCD screen assembly replacement for Asus ZE551ML is Black and carries with a Asus logo only, please check your color and version before ordering. ● This Zenfone 2 ZE551ML LCD and touch screen assembly is 100% original and brand new. All the products will go through strict test before shipped out. 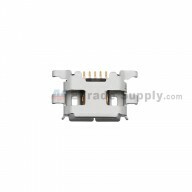 ● This LCD display with digitizer replacement is compatible with the Asus Zenfone 2 ZE551ML only, please check your model before placing an order. The delivery was very fast, but the touchscreen don't work. I'm very disappointed with that and the display isn't same product that I I saw in picture and details. I Hope you solve it . [ ETS Answer ] This is RMA manager of ETradeSupply. We are so sorry and shocked when I know this serious accident, I will handle this accident for you personally. This issue have been forwarded to relevant department,and they feedback that we need more information to investigate it. Could you please make a short video or take some high definition pictures which include our “ETS” stamp to show this problem ? Thus we can analyze it and provide the solution for you. The stamp is in the back of the product. Please kindly upload the video here: http://www.zippyshare.com/, then send the link to service@etradesupply.com. I will follow up this problem until it is solved properly. Please don't worry, as a reliable seller, I would like to try my best to help you. 1) The screen I received was defective. There is a red tinged spot that's about a half inch on the screen that appears when the screen displays black backgrounds. The screen works, but the LCD is defective and, because of this spot, does not display colors correctly. 2) This product ships from Japan. I paid over $30 for overnight delivery but I did not receive the screen until two days after I ordered it. This may not sound like a long time, but when you can't use your phone until you get your new screen installed, this is an eternity. Had I known that the product wasn't shipping from the U.S. before I placed the order, I would not have ordered the screen. It was not communicated to me that the screen was shipping from Japan before the order was placed. One day after placing the order, I was notified by email that the product had just then shipped from Japan. This is unacceptably poor customer service. The delivery was very fast, but the touchscreen don't work. I'm very disappointed with that. I put the older one and it works fine so I suppose that's the new one don't work. Hope you solve it. Very fast delivery, excellent quality. Fast shipping, well done compact packing. Item quality control can be improved. Appear some black line at the bottom of the screen. Very friendly and supportive attitude, highly recommended!